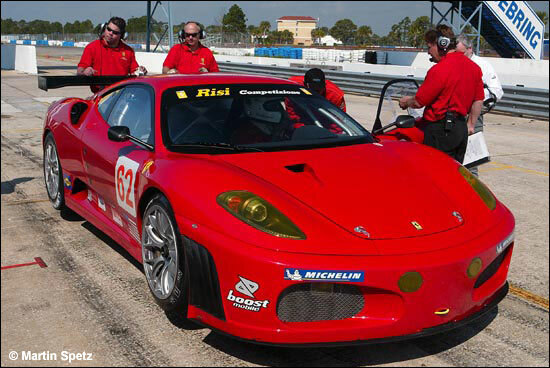 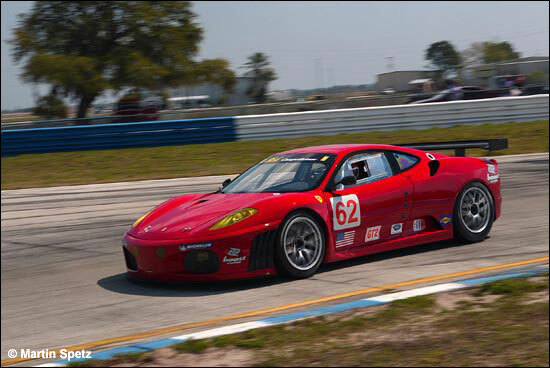 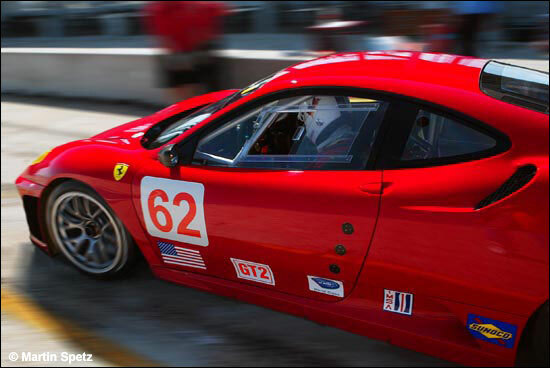 Giuseppe Risi’s team was running its brand new Ferrari F430 GTC (F131 EVOGT 2406) on American soil for the first time yesterday, March 6 – writes Martin Spetz. 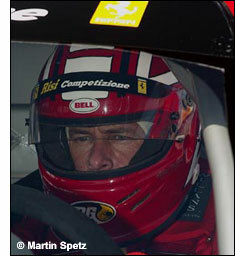 “Once you climb in and sit behind the wheel, you’re immediately comfortable with the car. 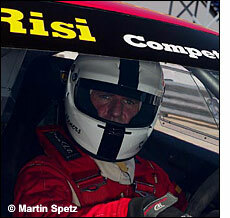 She’s very smooth and predictable,” added Ralf Kelleners (left). 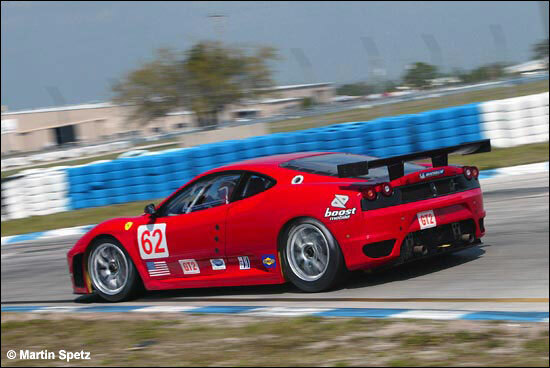 The whole team appears to be delighted with the new car, and Giuseppe Risi suggested that there might be a (slim) chance for a second car for Sebring, but more realistically it’s looking like two cars at Houston in May. 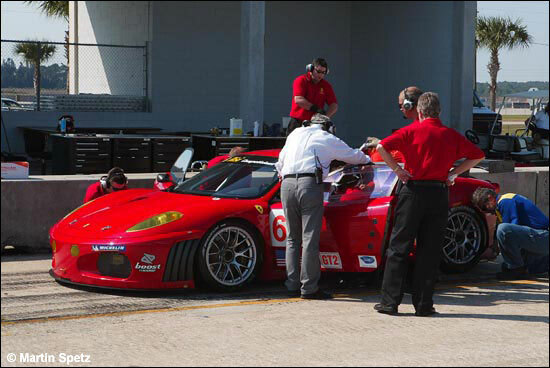 The two drivers spent the day running handfuls of laps at a time, checking the tires, making minor adjustments, etc. 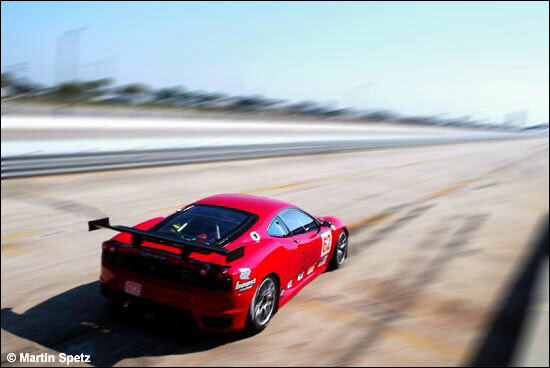 We’ll refrain from posting any lap times: it won’t be long before testing proper starts at Sebring.